Relax and enjoy the beautiful scenery along the passing waterways of the splendorous ports. River ships often dock in the centre of the cities and towns, meaning you’re only a stone’s throw away from the heart of each destination. 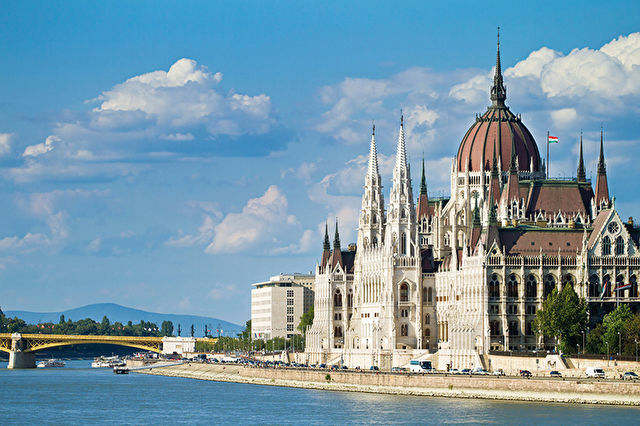 River Cruising provides an intimate and friendly atmosphere with passenger numbers normally ranging from as low as 50 up to around 200. Rooms on board are practical and most come with river views to ensure you soak up as much scenery as possible. As more and more of the extras are often included in the initial cost this allows you to sit back and relax. These inclusive extras can range from all meals and drinks to shore excursions and guided tours. On board a River ship accommodation tends to be that of a hotel, although smaller due to the space available, they are designed to be practical and functional (most cabins come with a hair dryer, in room safe, phone and TV). River cruise ships tend to have 3 levels, when choosing your cabin the higher the better the view of the passing waterways. On board you can expect to sample cuisine of the highest standard, some chefs will use local produce and location inspired dishes. On board you can expect to find a library (which may offer not only books but also games and puzzles). Swimming pools, fitness rooms and spas can even be found on board some river cruise ships. You may find added extras such as Tours and Excursions, free WIFI, flights and transfers.